Take a bow, @LF_1906, who has produced the best comeback we’ve seen on Twitter in many a year. 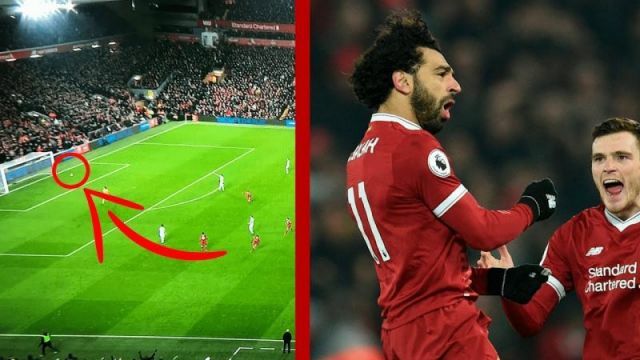 But in exceptional fashion, the Red reminded AJS that Ederson did in fact try to walk into our midfield at Anfield last year, only for Mo Salah to stick the ball into the back of his net! That right there is genius, people. Ederson is obviously very good with his feet, but he doesn’t take any risks against Liverpool – a sign of his and Pep Guardiola’s respect for our attack. We don’t play the Sky Blues again this term, having unluckily lost to them at the start of this month. In the race for the title though, we’re four points clear and have a kinder run of upcoming fixtures to boot. Hopefully we can take advantage, despite a number of injuries affecting Jurgen Klopp’s options right now.